Remember we started "Change Starts Here", our microfinancing project, here on the Road? Well, in two years, our Kiva lending team grew to 82 people, who issued over 1,000 loans, for a total value of $42,000... Not bad, hey? 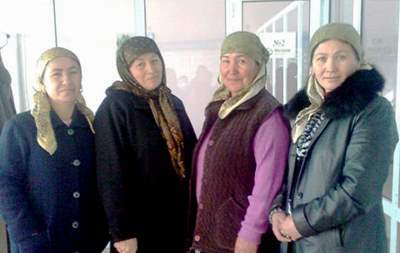 The latest loan was issued to Sobirahon Ahmadalieva (on the left on the picture) in Aravan, Kyrgyzstan. Sobirahon breeds cattle for resale after fattening. In this way she earns about $85 per month. With her microfinance loan of $1,066 she wants to purchase two bull calves for breeding. The scorecard overview of our project, you can find on Have Impact. This is very good business to help people help themselves. Wish they would do this here in North America. Here they give you 5 cents and take away a dollar.